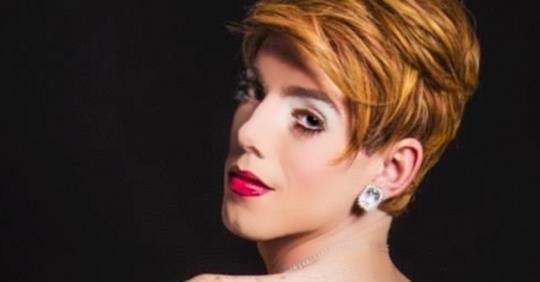 Don't miss one of the fastest rising New York cabaret and musical comedy stars, Sam Given, a charismatic, muti-talented performer, has been wowing audiences with his summer cabaret special ‘DON'T MAKE ME OVER’ with his alter ego Millie Grams. One night only at the landmark Ivoryton Playhouse in Ivoryton, CT. 7:00 pm, Monday, August 20. It’s a grand and glorious night of Bacharach songs and Broadway parodies interspersed with Sam's unique, wry and occasionally poignant words and music. Sam was recently seen in New York in The Boys from Syracuse (Musicals Tonight!) and performs as Ziggy Stardust in an ongoing national tour of Rebel Rebel: The Many Lives of David Bowie (Ziggy Stardust). Sam's alter ego, Millie Grams, performs regularly at world famous Don't Tell Mama in the heart of New York’s theater district. Tickets for "Don't Make Me Over" are $25 for all ages (18 and older) and are available by calling the theater box office at 860-767-7318 or visiting the website at www.ivorytonplayhouse.org 103 Main Street Ivoryton, CT 06442.